CAIRO – 12 September 2018: San al-Hagar archaeological site in Sharqiya governorate is expected to be inaugurated on Saturday Sept.15. During the opening of Mehu tomb that belongs to a high-ranking ancient official, Minister of Antiquities Khaled al-Anany referred that a monumental archaeological site will be inaugurated on Saturday, September 15. 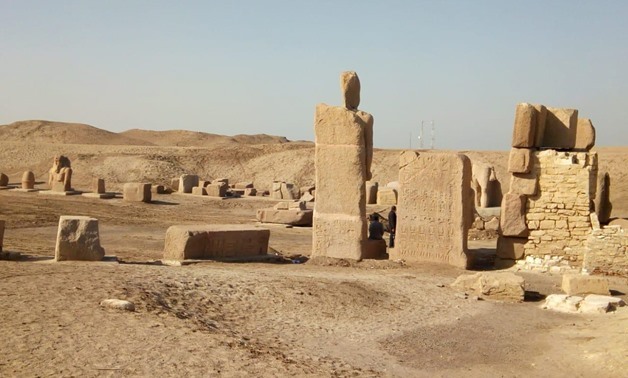 Previously, the Ministry of Antiquities declared that the archaeological mission at San al-Hagar finished restoring and compiling one of King Ramses II's statues at the site as part of the development project carried out at San Al-Hagar site to develop it into an open-air museum. A stela of 19th Dynasty King Ramses II was discovered in January 2018 by an Egyptian mission during working at the San Al-Hagar site.